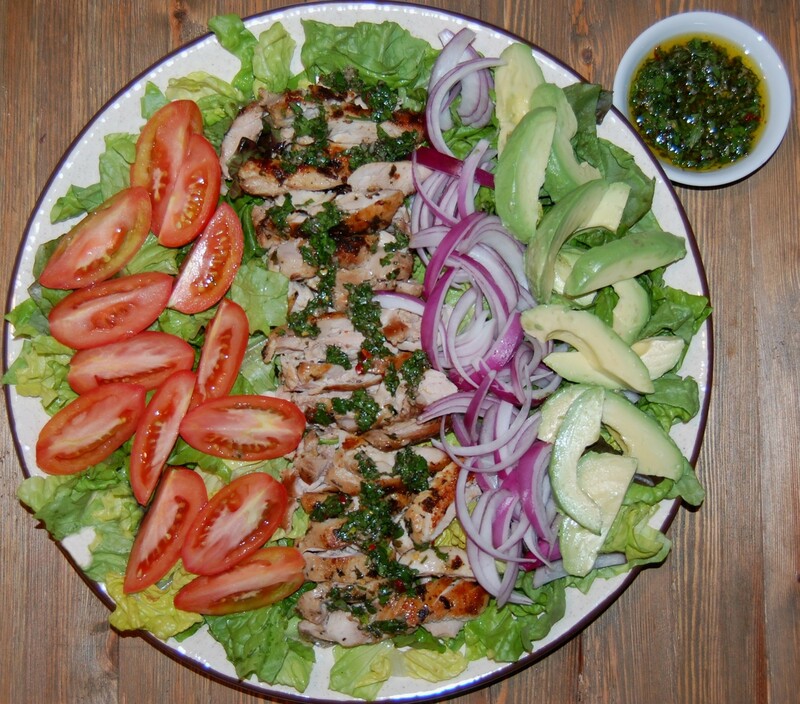 Grilled chimichurri chicken served over a bed of romaine lettuce with tomatoes, onion and avocado, Enjoy! 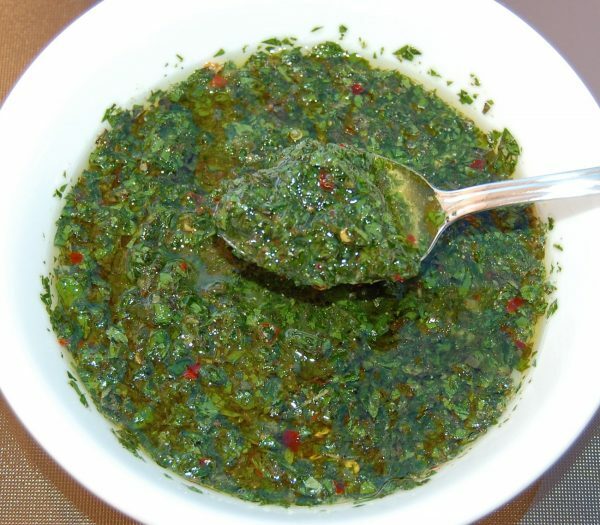 In a small bowl, make a batch of Cooking Mamas chimichurri sauce; set aside. 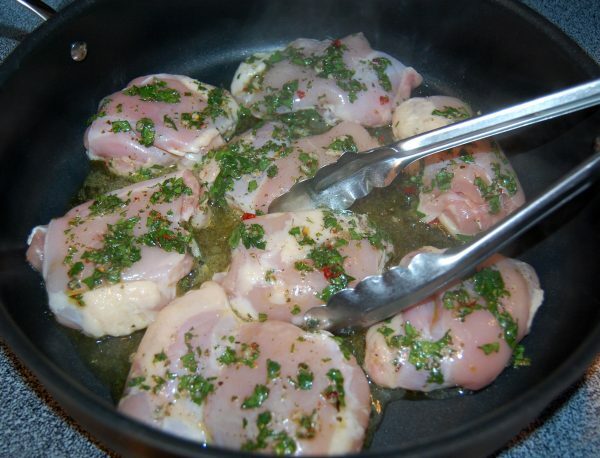 Place chicken thighs in a shallow dish. 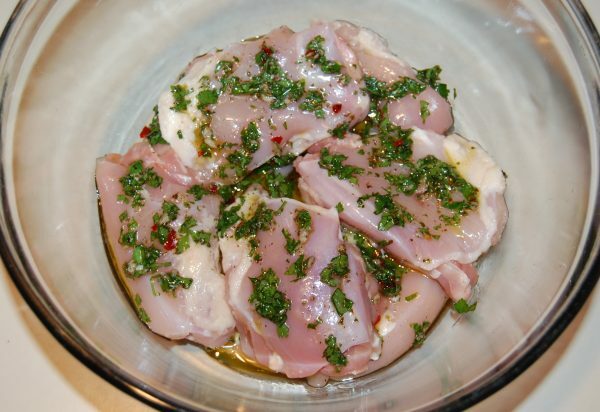 Pour 4 tablespoons of chimichurri sauce over the chicken thighs; toss to coat. Marinade chicken for 20 minutes. Refrigerate the reserved untouched marinade to use as a dressing. Heat olive oil in a large skillet, over medium-high heat. Grill chicken thighs on each side, turning occasionally until golden brown and crispy (about 10-15 minutes until the internal temperature reaches 165 degrees). Once chicken is cooked through, remove to a plate, cover loosely with foil; set aside to rest. 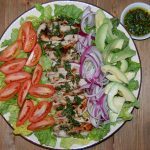 Arrange chopped lettuce, tomatoes, onion, and avocado on a large platter. Slice cooked chicken thighs into strips and place over salad, Drizzle salad with remaining chimichurri sauce, Enjoy!